Your gun safe is a crucial tool in home defense. Because of this fact, you must plan where you want to place it. We want to help you find the best place to put a safe in your house. By the end of this post, you'll have a designated location to keep your safe away from home invaders. 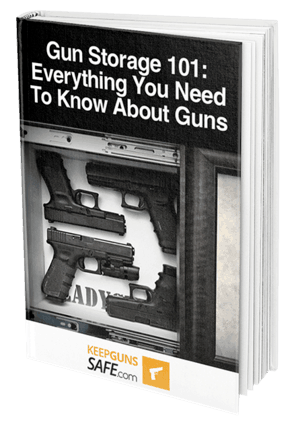 ​Before you start shopping for the best gun safes on the market, review the things to consider before purchasing. 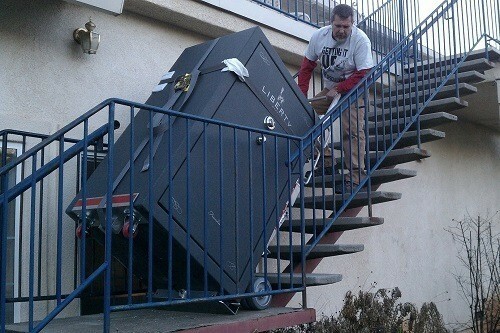 The weight of your safe determines its position. Usually, safes below 1,000lbs are suited for the second floor or the basement of the house. Make sure your stairs can accommodate the size of your gun box or safe you've selected. Safes above 1,000lbs require a stationary position. These safes are sturdy and mounting them causes potential risks when dropped. Be careful where you place your heavy safe if your house has a raised foundation. You don't want to risk the safe falling and causing damage accidentally. Another important factor to remember is the type of door your safe has. There is a multitude of gun safes with a distinct door design. The most common safe consists of internal hinges that open at a 90° angle. Other safes have external hinges that open at an 180°. You'll need some extra space when opting for a safe with an 180° hinge. Keep furniture and other appliances away from the safe. 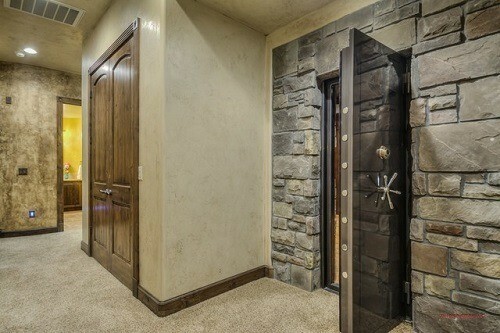 By giving your safe door enough room, you'll access your weapons faster and utilize it when the time calls for it. A gun safe that takes too long to be opened will rarely be used. Creating complicated hiding methods and extended distances reduce the effectiveness of the safe. It's crucial to have your safe in an accessible location to protect your and others during an emergency. As a rule of thumb, place your gun safe at least two feet from your bed like you would the ​best rated firearm cabinet on the market. This gives you enough room to use your weapon and prevent burglars from damaging your home. During ﻿﻿﻿home﻿﻿﻿ invasions, intruders tend to target large areas like the master bedroom and the garage. Sometimes they hide in random locations such as the kitchen or the bathroom. That's why you need to place your gun safe in a secluded area. The fewer people that know the location of the gun safe, the better. Places such as the living room are highly populated. ​Storing your gun​ safe in these public areas is dangerous and increases the risk of theft. Place your gun safe in the basement. Basements are low-risk theft areas that burglars rarely target. Home invaders have a short period when inside. Putting your safe in the basement forces them to carry it upstairs; causing burglars to waste even more time. For extra safety, you can try bolting the safe to the floor. Alternatively, placing your guns in the garage is a good bet. Your safe is hidden from plain sight, and is away from the reach of children. When storing your safe in the garage, keep it in a location that's both accessible and discrete. A few gun owners don't like placing their safe in their garage. While the garage is free for children, it's the hardest to access during an emergency. Studies show that 40% burglars usually enter through the garage of the house. Install a strong stationary gun safe in the garage to prevent this issue. 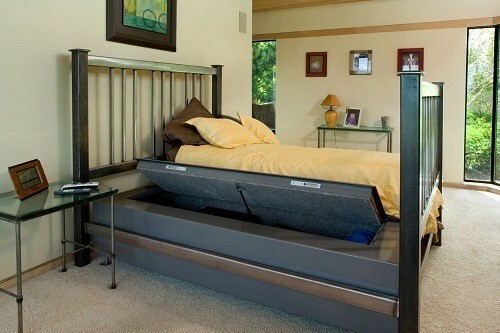 When you're asleep, a gun safe nearby grants extra peace of mind. The bedroom offers enough room for users to hide their weapons from intruders. Plus, you're more likely to access your weapons in your bedroom once a burglar enters your home. The most popular place to store your firearms is under the bed. This prevents thieves from seeing your weapons once they enter your home. Your bedroom gun safe must be low profile for even easier access. Keep your safe low, so you'll know where to access your weapons at all times. However, you run the risk of leaving your weapons exposed to children. Children, while innocuous, can get ahold of your firearm safe. If you do plan on having a gun safe in your room, ensure that its combination is difficult for your children to remember. The complicated safe code stops them from tampering with your weapons and causing more issues. Otherwise, you can make use of a biometric gun safe to avoid your weapons getting in to the wrong hands. Knowing where to put a gun safe in your house is the sign of a professional gun owner. We hope that this guide helped you store your weapons in a more accessible area. If you have any questions, don't hesitate to leave them in the comments below.